Bubble Strategy in Satellites: Call or Fold Ace-Queen to a Shove? Can You Fold Pocket Kings on the WSOP Final Table Bubble? Jonathan Little's Weekly Poker Hand: Call or Fold With a Flush? Jonathan Little's Weekly Poker Hand: Slow Playing Is Bad! Are You Guilty of 'Copy Cat Learning' in Poker? The Muck: Did Couple Foxen & Bicknell Take It Easy on Each Other? Can Blockchain Technology Restore the Trust in Online Poker? 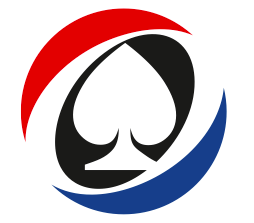 Freerolling at CoinPoker: The Action Starts Now! Win Limited Edition PokerStars Power Up Prizes for Free! Ludovic Geilich and Niall Farrell Debate Thin Value Bet: Who Is Right? Tuchman vs. Moorman: Play a Big Pot With Big Slick? Win Holiday Prizes from the New PokerStars Amazon Store for Free! How Much Do the Pros Actually Play a "Game Theory Optimal" Style? Two Major Updates at LV Bet You Need to Know! The Last PokerStars Sunday Million LIVE Freeroll is Saturday, Aug. 26! PokerNews Cup: Don't Miss the TonyBet Open-Face Chinese Poker Event! Play in the Exclusive Barcelona Championship Qualifier on August 12! The Gr8 Debate: Is Daniel Negreanu the Best Tournament Poker Player? Macau Billionaire Poker Presents Largest Guaranteed Prize Pool in Asia! Gr888 Debate: Who Should Be Nominated for the 2017 Poker Hall of Fame? Which Do You Prefer -- Tournaments or Cash Games? Learn SNAP Poker and More With 888Poker's "The Game"
Get Back on the Horse with Wonclub's Lost Sports Bonus! The Weekly Turbo: Happy Holidays! Big Bucks For Free! Play in the TigerGaming $5,000 New Player Bounty Freeroll on Sunday! Play Sit 'N Go or Tournaments? Learn How to Win Big at TigerGaming This Month! Can I Make Money Playing Poker? Kahnawake Agrees To Force Bovada and Other Online Gaming Licencees Out of the U.S.
Tweet, Tweet, Bad Beat: Bacon, a Care Bear and Mini Me? Where Can I Learn and Practice Texas Hold'em? 10 More Hold'em Tips: Should You Ever Limp-Reraise? PokerNews Cup And Massive Celebrity Cash Game to Hit King’s Casino This Weekend! The World Cup of Cards at Playground is a Four Week Long Poker Festival Like No Other! Phil Hellmuth and Brandon Cantu Film Scene for Showtime's "Billions"
The 2016 World Series of Poker is Over (Mostly). Here's What We Thought. PokerNews Podcast Episode #400: FOUR HUNDRED! Bill Gazes Says New Generation Is "Making the Game So Much Better"
Ari Engel on Whether Limit Hold'em Is "Solvable"
PokerNews Podcast Episode #386: Is Fedor Holz One of the Best? PokerNews Podcast Episode #375: 2016 WSOP Kicks Off! Win a Freeroll And Fly to The 2016 WSOP! PokerNews Podcast Episode #359: Annette Obrestad Did What? PokerNews Exclusive: Win a Full Tilt Millionaire’s Club Lounge Tech Hamper! What Is an Overlay? How Does It Apply to Fantasy Sports on SkillDraft? Free Holiday Loot With No Strings Attached at Unibet Poker! Play Fantasy Football at Draftpot and Win Free Tickets to an NFL Game! Join The Hottest Recreational Poker Network And Play In Our Two €1,000 Unibet Poker Freerolls! Like Free Money? Don't Miss Out On Our Exclusive $5K Freeroll at Full Tilt! Last Chance to Head to the PokerNews Cup For Free at Partypoker! Learn How You Can Play in the Tonybet OFC World Championship Main Event For FREE! Head to the PokerNews Cup For Free on Oct. 25 at Redbet Poker! 2015 PokerNews Cup: "Not Your Regular Poker Tournament"
Discover How You Can Grab a FREE Share of €100,000 at bet365 Poker! Exclusive $2,000 PokerNews NFL Freeroll at DraftKings! Win Up To $100 Per Week in The Money Maker! The PKR Poker Super Series Are Here! Want To Become an Instant Millionaire? Last Five Days to Qualify Into the £250k GTD. 2015 Goliath for Just €1.10! LAST CHANCE: Win a WSOP Main Event Seat for Only $27 at DraftKings! Why Aren't You Cashing More Tournaments? 3 Promos to Watch: Free Money Everywhere! 3 Promos to Watch: Do You Want to Be a Millionaire? Dreaming of Free Money? Grab Your Share of $2,000 at Titan Poker Today! Grab $20 For FREE at Skrill Today! partypoker is Sending a PokerNews Reader to Las Vegas! Fancy a Free Training Call On Us? Why Do You Struggle To Beat Weak Players? Check Out partypoker Today with a FREE $20! Win a Share of €75,000 in the May Madness Missions at NetBet Poker! Do You Want to Head to the WSOP for Free? 3 Promos to Watch: Head to the WSOP Main Event for Free and More! Grab a Welcome Package full of Goodies at PokerMinds! Congratulations to The Winners of The PokerNews Cup Packages At DuckPoker! Win a Free Package to the PokerNews Cup at DuckPoker - Tonight! Win a Free Qualifier Seat to a Heartland Poker Tour Main Event! Win A PokerNews Cup Packages for FREE on Thursday at DuckPoker! Two Paths for You to Head to the PokerNews Cup for FREE at DuckPoker! Win a Share of $1,000 this Friday in the PokerNews Freeroll at DuckPoker! Your Wish Has Been Granted! - Get Your $25 in Tournament Money at DuckPoker! 75,000 Sit-n-Gos in One Month, Supernova Elites, and More... Are You On TiltBook? Win a Share of $1,000 in the PokerNews Freeroll at DuckPoker! Get Two Deposit Bonuses With Only One Account at Poker Heaven! Grab $25 in Tournament Bucks at DuckPoker! How to Play the First-Ever OFC Poker Series at Tonybet Poker for Free? Can You Keep a Secret About a Brand New Poker Site...? TonyBet Poker €1,000 Sit-and-Go Bike Ride: Week 3 Winners! TonyBet Poker €1,000 Sit-and-Go Bike Ride: Week 2 Winners! Help Yourself to Free Money Every Day on Duck Poker! Smile and Win Your Way To the 2014 PCA! The Caribbean Poker Tour Begins This Week in Punta Cana! UKIPT Isle of Man Begins Next Week -- Last Chance to Qualify! Win a Caribbean Poker Tour Package and Play a High Roller with Tobias Reinkemeier! Win a 3D Poker Training Seminar Seat Worth €2,500 for Free! Strategy Vault: Limit Hold'em for No-Limit Players in H.O.R.S.E. Win a Free Seat to Poker770's €1,500 Mega Poker Series in Montenegro! PokerNews +EV: Boost Your Bankroll and Possibly Win a VIP Manchester United Package! PartyPoker Weekly: Play Poker in Cyprus and Old Trafford, and More! Would You Like a Share in $30,000 on PokerStars? 100 Billionth Hand to be Dealt Any Moment at PokerStars! Don't Miss Out! PokerStars' 100 Billionth Hand is About to Hit! Don't Miss Out on the Celebration! Play Poker, Blackjack and More at the DoubleDown Casino on Facebook and Mobile! Tonight is the Last Titan Poker Spring $15K Freeroll! The 2013 World Series of Poker Begins! There's Plenty of Value in 188BET's Promotions; Check Them Out Now! Can You Make a Living Playing Poker? PartyPoker Weekly: WSOP Satellites End Soon at PartyPoker; Win Your Package Today! PokerStars SCOOP Promotion Closing Fast! Get Involved in the Fantastic Poker Promotions at 188BET! Qualification for the $4,000 PokerNews Rising Star Freeroll at Poker770 is Now Open! Play in a €1,000 Freeroll at Winamax Tonight; No Deposit is Required! Five $1,500 Freerolls Remain in our PokerAce Promotion. Bank Your Seat Today! The Next Weekly Winamax €1,000 Freeroll is on May 9; Will you be Playing? There's a Whole Lot Going on at Titan! Score a Free $10 at Full Tilt Poker! How Does a Free Ticket to Qualify for the Unibet Open Tróia Sound? Still Plenty of Freerolls Left in the Titan $15k Winter Series! PartyPoker Weekly: Conquer the World, Win a Nexus 4 and Much More! Get Involved in the Titan Winter Freeroll Series; There's Still $7,000 Available to Win! PartyPoker Weekly: Conquer the World and win up to $100,000! Don't Miss Your Chance to Win One of 100 Entries to the MiniFTOPS Main Event! Take Advantage of the Free $50 at PartyPoker and Poker770! Win a Trip to Vegas with Ship It Holla Ballas! Win One of 100 Entries to the MiniFTOPS Main Event! William Hill $10,000 Double-Up Sit-and-Go Madness Final Results: MaxBMMG Wins! PartyPoker Weekly: Race Against Time and Win Huge in the VIP Countdown! Want a Free $50 for the Holidays? Sign Up with Poker770 & PartyPoker Today! Last Chance to Qualify for the $5,000 PokerAce Freeroll - No Deposit Required! The Weekly Turbo: Howard Lederer Settles Civil Case, Online Poker's Progress in U.S.
Report: PokerStars Interested in Purchasing Atlantic City Casino to Reenter U.S. The Last $5,000 PokerNews Freeroll at PokerStars is Tonight! PartyPoker Weekly: Receive a Free Present Every Day With Your Advent Calendar! How Much Will You Win in the bet365 $10,000 Open Vaults Promotion? Don't Miss the Next $5,000 PokerNews Freeroll at PokerStars! Win One Of 200 Seats To The $10 PCA Qualifier, Where 10 PCA Packages Have To Be Won! There's a Free $100 in Cash Waiting for You! Jet Off To The Bahamas Thanks To The PCA Flashback Promotion! Sign Up With Poker770 and Receive a Free $50! PartyPoker Weekly: Ring in the New Year with a Trip to WPT Ireland! Win A PCA Side Event Package Worth $6,000 Just For Sharing Your PCA Memories! PartyPoker Weekly: Boost Your Profits With Prizes From The Accelerator Promotion! Don't Miss Your Chance to Deposit and Play in the Last WPT Poker Freeroll! PartyPoker Weekly: Become The Next Aussie Millions Champion For Free! There's At Least $2 Million Guaranteed In The SUPER XL Series On 888poker! Qualify For The 2013 PCA; 10 Packages To Be Given Away Every Week! Win One Of 200 Seats To The PCA $10 Qualifier Where 10 PCA Packages Are Guaranteed! The Second Unibet RaceTrack Freeroll Takes Place Tomorrow! We Want You to Take $50 on PartyPoker AND $50 on Poker770! Qualification for Poker770's Magnificent 77 Ends at Midnight! Don't Miss Out! PartyPoker Weekly: Czech Out the WPT Prague Satellites! Deposit at WPT Poker and Play in $6,000 Worth of Freerolls! Want a Share of $10,000? Enter the Magnificent 77 Promotion on Poker770! The €13,000 PokerNews RaceTrack Is In The Final Stages, Keep Up The Pace! Care for some free cash on PartyPoker and Poker770? You Could Win One Of Three iPad 3's Just For Playing FastForward Poker On PartyPoker! Win A Share of $10,000 In The Magnificent 77 Promotion On Poker770! We Are Giving New PartyPoker And Poker770 Customers A Free $50! Celebrate 888poker's 40 Millionth Tournament With a $10,000 Freeroll Every Day! The First Unibet RaceTrack Freeroll Takes Place Tomorrow! And They're Racing! Join in the €13,000 PokerNews RaceTrack on Unibet! Last Speedway Event at PKR on Tuesday! Qualification For The Next $5,000 PokerStars Freeroll Ends Today! Help Yourself to a Free $50 From PartyPoker and Poker770! PartyPoker Weekly: Tony G Is Feeling Generous, WPT Copenhagen Satellites Begin And Much More! PokerNews +EV: PKR $5,000 Summer Speedway, €13,000 Unibet RaceTrack and $67,500 PokerStars Freerolls! There Are Only Two Days Left To Qualify For The First $5,000 PokerStars Freeroll! How Does a Free $100 Sound? PartyPoker Weekly: Raid Tony G's House For $200,000 Worth of Prizes! PartyPoker Weekly: Want to Win Your Way to the WPT Vienna National Series? The Road To 100 Billion: PokerStars' 85 Billionth Hand To Be Dealt On Sunday! PokerNews +EV: PKR Summer Speedway, WCOOP Main Event Seats and MORE Free Cash on Poker770! Grab a Free $50 on PartyPoker and Poker770 Today! Participate In The Skrill Summer Challenge And Win Bronze, Silver, Gold or Diamond VIP Status! You Can Still Take Part In This Week's 7 Weekend Wonders Race! PartyPoker Weekly: Summer Million Just Around The Corner, The Pepper Spray Man And More! PartyPoker Weekly: Qualify For WPT Cyprus For Free, Boost Your Bankroll And More! Download The PokerNews Mobile App Today And Take Part In The $2,000 Treasure Hunt! Help Yourself To A Free $50 From Both PartyPoker And Poker770! Have You Uncovered The Hidden Password For $500 PokerNews The Titan Treasure Freeroll? PartyPoker Weekly: Free Poker Bankroll, Bankroll Boosters, Tony G, and More! Don't Miss Out On The Next Winner Wednesday $2,500 Freeroll -- Qualification Ends Tomorrow! Another $2,500 Freeroll Takes Place Tonight On Winner Poker! PartyPoker Weekly: Summer Million, Euro 2012 Promotions And Much More! PokerNews +EV: How Does a Free $100 Sound? Become A Skrill VIP And Earn Five Times The Loyalty Points! Play In The $30k Guaranteed PokerNews Main Event! Don't Miss Wednesday's Exclusive $2,500 Freeroll at Winner Poker! PartyPoker Weekly: Extra Time Promotion Launches, WPT Cyprus and More! Fancy a $2,500 Freeroll on Winner Poker this Wednesday? Win Your Way To The WSOP With Mansion Poker! Win a Seat to the PokerStars German Championship of Poker Main Event for €2.20! PartyPoker Weekly: WPT National Madrid, WSOP, MTT Leaderboards and More! Become a Winner with the $30K Winner Poker Wednesday Dozen! Let Winner Poker Take You to New Heights with SNG High Gear! PartyPoker Weekly: Champion Challenge In Full Swing, WSOP Satellites and More! ZOOM Yourself to Victory with PokerStars' Zoom Poker! There's Still a $4,500 WSOP Package Up for Grabs at PKR! Is Howard Lederer Moonlighting as a UFC Referee? PartyPoker Weekly: A New Sponsored Pro, Last Minute WSOP Satellites, Free Bankrolls and More! Visit the Seven Wonders Of The World with Poker770 and Win a Share of $10,500! PartyPoker Weekly: Championship Challenge Launches Today, Best High Stakes Players and More! Receive $50 for Opening a Poker770 Account Through PokerNews! Still Time to Qualify for Exclusive Satellites to the PokerStars SCOOP Main Event! PartyPoker Weekly: WPT National Madrid, Tony G's Band, Kara Scott Choosing A New Home And More! PokerNews Players Have a Chance to Win a $4,000 WSOP Experience Package on Betfair! Don't Miss Out on Poker770's iPoker Online Poker Series! Win a $4,000 WSOP Experience Package on Betfair! Take Part In The iPOPS at Titan Poker; First Event Starts Tomorrow! Win PokerStars SCOOP Main Event Tickets in PokerNews' Exclusive Freerolls! PartyPoker Weekly: VIP 500 Club, Mike Sexton Speaks Out and More! Get $50 Free From Both PartyPoker and Poker770! Don't Miss Out on the Last $5,000 Weekly Freeroll at PokerStars! Daniel Negreanu's Weekly Rant: April 17 — Hello Ladies! PartyPoker Weekly: Pokerfest Online II Stars This Weekend and Much More! Win Your Own WSOP Experience on Betfair! Climb The bet365 Cash Ladder And Win Up To $1,000! Don't Miss PokerNews' $5,000 Weekly Freeroll at PokerStars! Daniel Negreanu's Weekly Rant: April 11 — Oh Danny Boy! PokerNews To Stream PartyPoker Big Game Live! PartyPoker Weekly: The Big Game To Be Streamed Live, Premier League V And More! Earn 20 VPP Today to Qualify for PokerStars' $5,000 Freeroll! PartyPoker Weekly: Mike Sexton Speaks, Premier League Kicks Off and More! There's Still Time To Qualify For Some $5,000 Freerolls On PokerStars! Qualify for Unibet Open Paris for as Little as €0.80! PartyPoker Weekly: Last Chance To Qualify For WPT Vienna, Gladiator, Ian Frazer and More! PartyPoker Weekly: Bankroll Booster, Qualify For WPTs, The Big Game and More! PartyPoker Weekly: Gladiator Promo, WPT Marbella, GSOP Dominican Republic and More! Win a Year's Salary on Casino770! Don't forget about PokerNews' Weekly $5,000 Freeroll at PokerStars! PartyPoker Weekly: Play at the 2012 WSOP for Free, Spring Million and More! This is the Last Day to Qualify for the Victor Chandler $5,000 MaxStack Freeroll! PartyPoker Weekly: Gladiator Returns, Antonius Joins Premier League and More! Climb The Premium Cash Ladder With bet365 and Win Up To $1,000! Qualify for the $5,000 Weekly PokerNews Freeroll at PokerStars! PartyPoker Weekly: WPT Vienna, Premier League Poker, Card Rush Promo and More! The 2012 PokerStars World Blogger Championship of Online Poker Starts Feb. 23! Compete in the $5,000 Weekly PokerNews Freeroll at PokerStars! PartyPoker Weekly: Magical Venice Experience, Card Rush Promo, Tony G Trash Talk and More! Last Chance to Qualify for the Unibet Poker Million! PartyPoker Weekly: Rake-Free Promo Ending, Card Rush Returns and More! Only Three Days Left to Qualify for the PokerStars Turbo Championship of Online Poker! Very Last Chance To Qualify For The $20,000 PokerStars Freeroll! PartyPoker Weekly: Tony G Versus Jungleman, WPT Vienna Satellites and More! Spin Palace Player Wins $1.7 Million; Could You Be Next? $10,000 to be Won in the Victor Chandler MaxStack Promotion! PartyPoker Weekly: Tony G At The Aussie Millions, WPT Denmark, Rake Free Tournaments and More! PartyPoker Weekly: Rake Free Tournaments, GSOP Salzburg and WPT Venice Grand Prix! Win Your Share of $20,000 in the PokerNews PokerStars Freeroll! 2011 Aussie Millions Kicks Off Today! Moneybookers and PokerNews Team up with Road to South Africa Promotion! PokerStars Introduces "The Big Game"
PokerNews Sports Legends Challenge Announced! ChipMeUp Adds Last Minute WSOP Seat Giveaway! 2009 WSOP Vlog Update: Tracking Tony G Through the $50,000 H.O.R.S.E. Unreal WSOP Values Have Bidders Flocking to ChipMeUp! PokerStars 'Choose a Champion' – Right Now! WSOP Updates: Day Five of the Main Event is a Sprint. Pokerchamps gives New Years Deposit Bonus! "Spiderman" Tobey Maguire Wins "Phil Hellmuth's POKER Invitational"